Saw a stray four-pack of Due South's Maple Orange Imperial Caramel Cream Ale a few days ago at Total Wine, so I decided to grab it! After all, their base Caramel Cream Ale is a very nice and popular local brew! 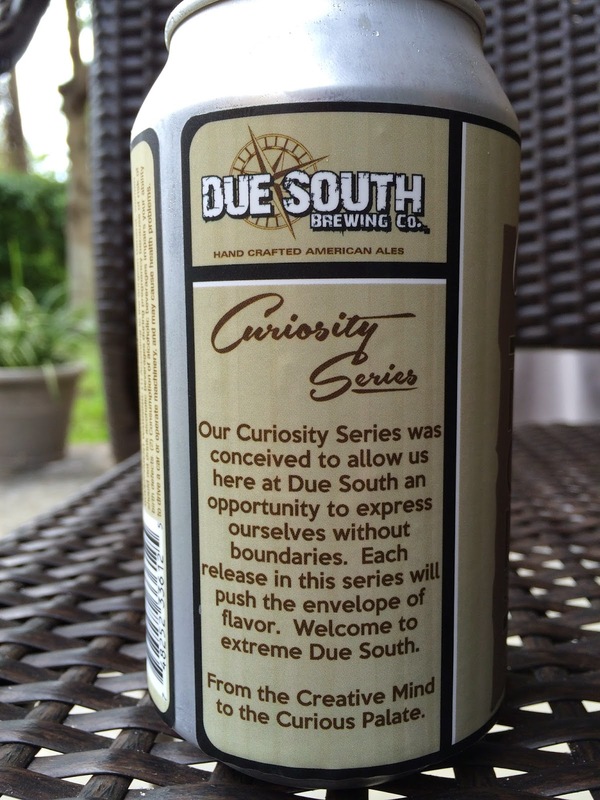 This was originally brewed for Extreme Beer Fest 2014 in Boston and is now being released as the first entry in Due South's new Curiosity Series. "From the Creative Mind to the Curious Palate" is the series slogan. 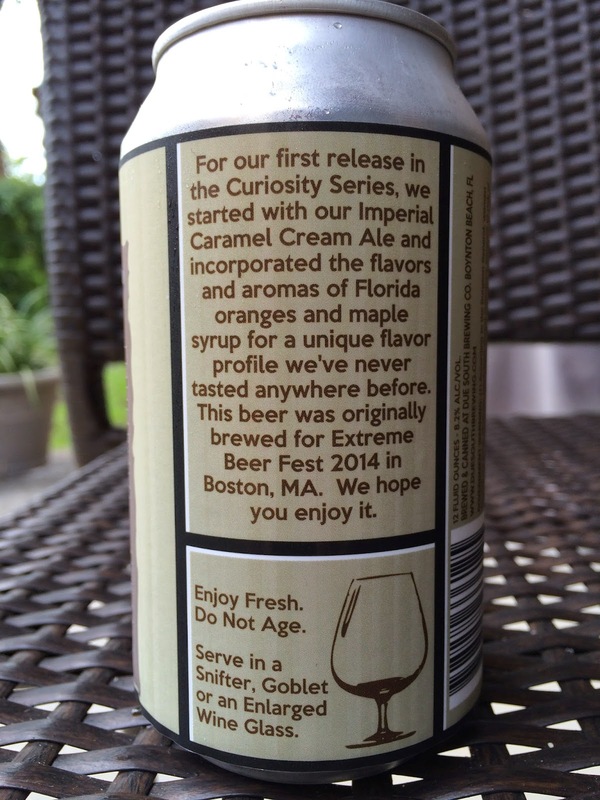 Canned 08-05-2014. Enjoy Fresh! Big maple and orange aroma, two smells I love. Zesty yet sweet with caramel too. OJ and pancakes in one whiff. OK, I'm done, and that was just the aroma. LOTS of maple sweetness to start. 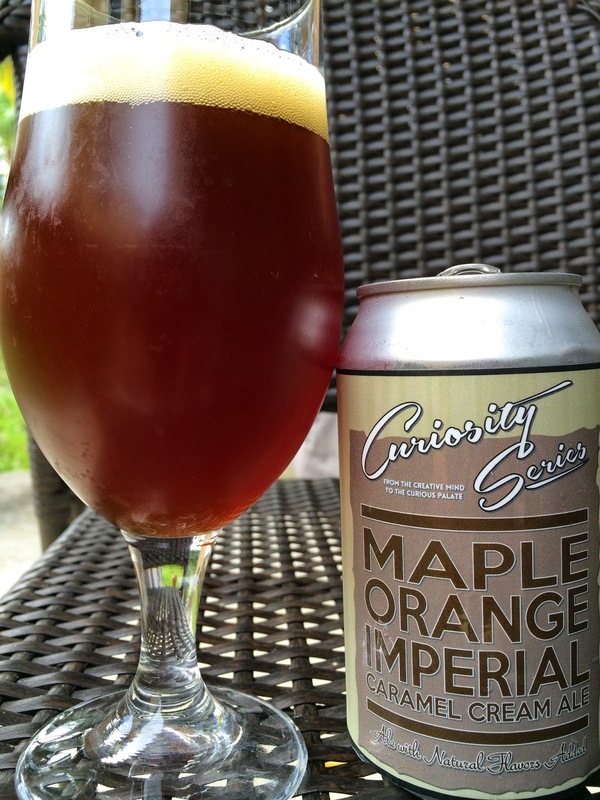 The next thing that really hit me was how the 8.2% alcohol really brought out and amplified the orange flavors, even with a bit of a "Screwdriver" type feel. Interesting. Definitely creamy! I thought this was a little too sweet to start, but halfway through the zesty orange really caught up and tempered that notion. Nice flavors. A lot of flavor. Interesting combinations and an interesting variation on their original beer. Probably one at a time is plenty, but the other three I have may be breakfast beers next week!